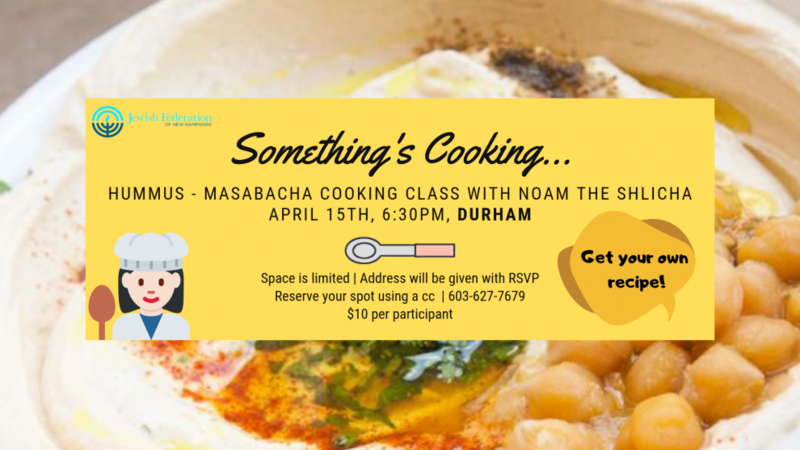 We're excited to invite you to the third event on a series of cooking classes! Call us at 603-627-7679 and reserve your spot using a debit/credit card. $10 per participant. The address will be given with the confirmation of your RSVP.